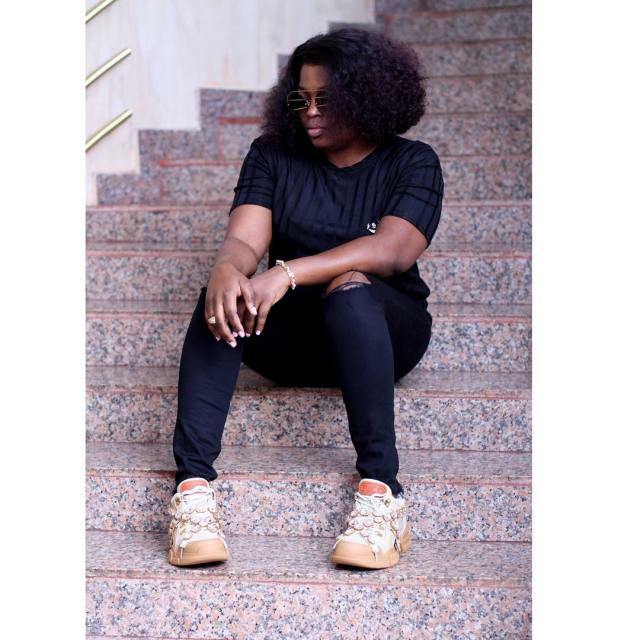 Actress, Funke Akindele Bello who is now a mother of twin boys has shared some stunning photos of herself rocking all black, looking classy, two months after giving birth. 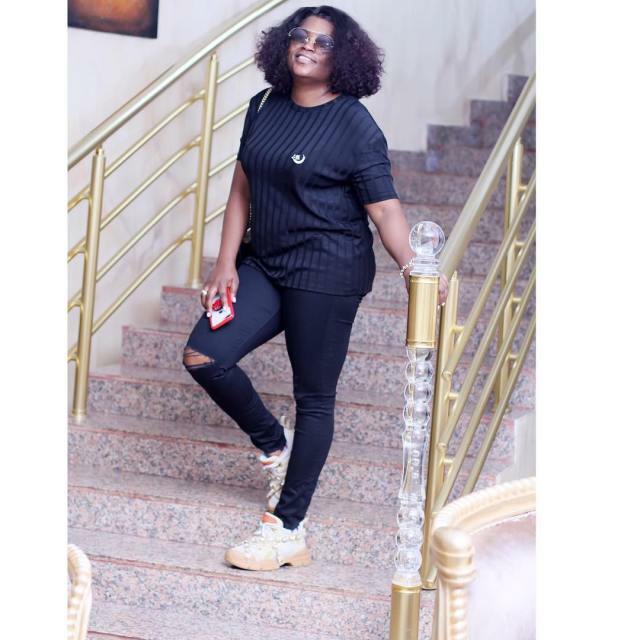 The actress shared the photos rocking a black jersey over black ripped jeans and accessorized with shades on her social media. She completed her ensemble with some sweet sneakers. 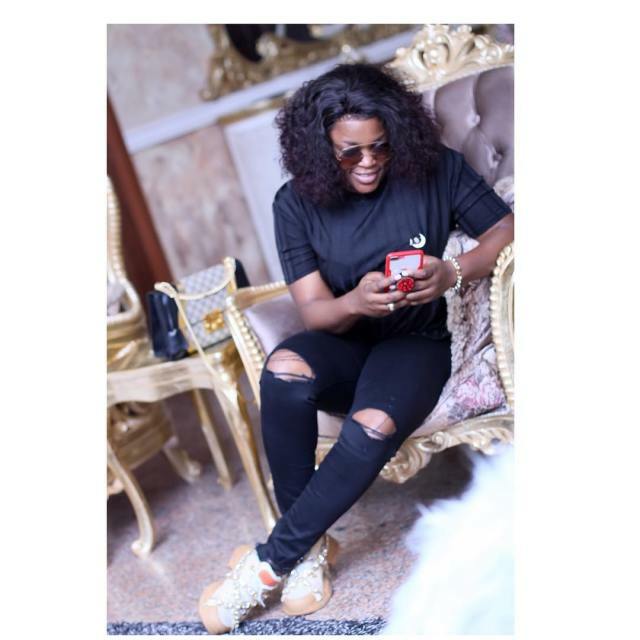 The Nollywood actress and filmmaker also shared a fun video of herself riding a bike within her estate.